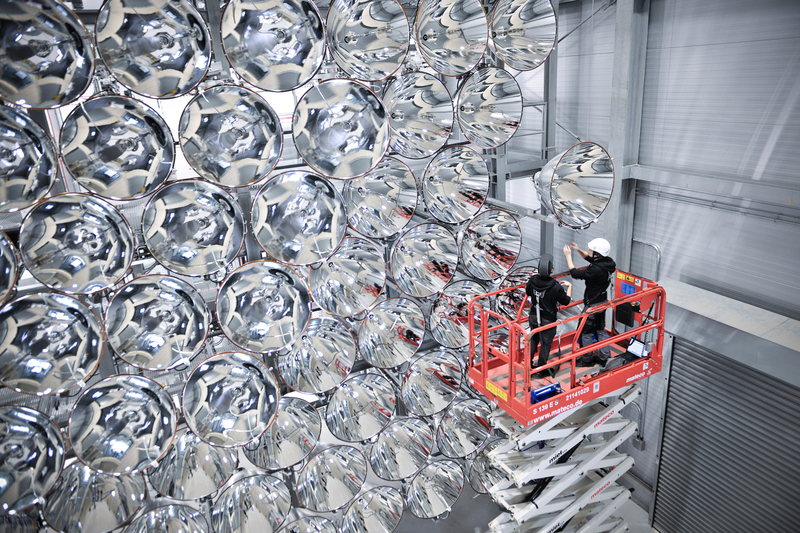 Synlight, located at the German Aerospace Center facility in Jülich, is the world’s largest solar simulator. With a 350-kilowatt array, Synlight produces solar radiation 10,000 times more intense than at the Earth’s surface. Temperatures at the target point of the lamps can reach up to 3,000 degrees Celsius. Researchers use these temperatures to manufacture fuels including hydrogen. With three radiation chambers available for experiments in which the required radiation can be directed, Synlight allows intensive research into alternative energy production. Fuels, propellants and combustibles acquired using solar power offer immense potential for long-term storage, the production of chemical raw materials, and the reduction of carbon dioxide emissions. Artificial photosynthesis can contribute to tackling both energy and climate problems as a sustainable alternative to fossil fuels for a range of applications in industry, housing and transport. It mimics the process of natural photosynthesis by absorbing solar energy to produce fuel that can be stored and transported. It is considered one of the most promising clean energy technology breakthroughs. 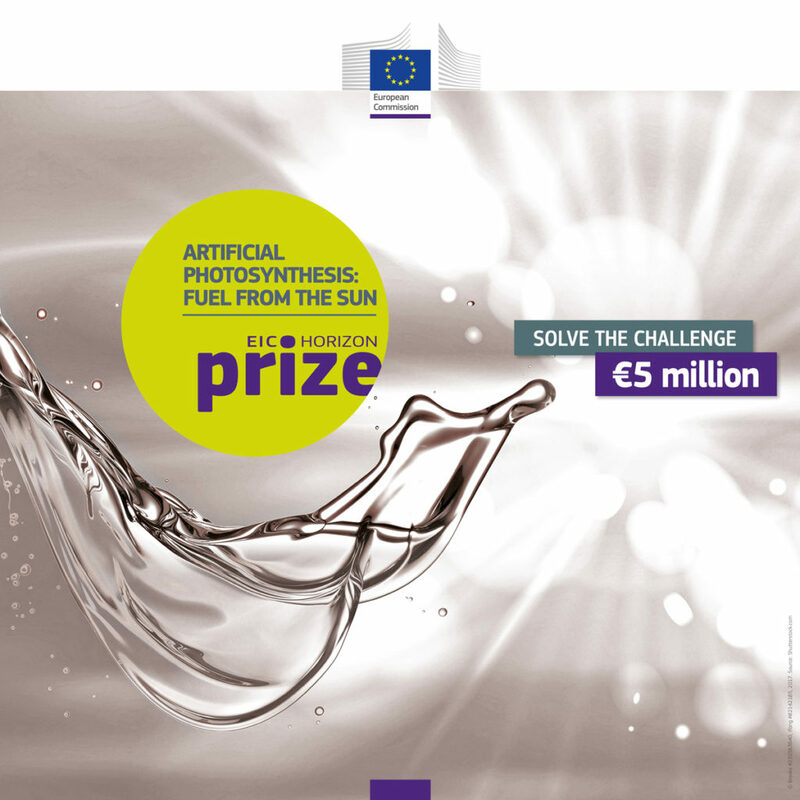 The European Commission has launched a €5 million Artificial Photosynthesis Prize for innovators globally to build a fully functioning prototype. This is one of six Horizon 2020 prizes, setting ambitious goals to solve major challenges facing present-day society. Meeting the challenge will stimulate innovation, raise public awareness, encourage the industrial participation and creation of start-ups, as well as increase commercial interest. Moreover, this prize will help accelerate the development of new solar energy conversion systems. Sweden-based C Green has created a revolutionary new way to convert wet sludge into biofuel. Increasing amounts of sludge are being produced by sewage treatment plants around the world, containing 270 TWh per year of energy. To tackle the challenge of water content of the material, C Green patented Zero-Energy HT – an energy-efficient hydrothermal carbonization process. This can convert 60 tons of wastewater sludge, industrial sludge or wet biomass per day into biofuel. The resulting biofuel is odourless and free from bacteria, viruses and the most complex pharmaceutical residues, and is suitable for use in biofuel power plants.